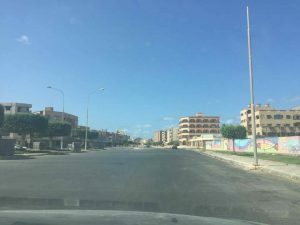 Despite clashes for the fourth day early this morning in Sabratha, the town centre was reported calm by midday as a temporary truce took hold to enable elders from Zintan and Zawia to try and negotiate a permanent ceasefire between the belligerents. Later though, there were violations to the truce and in one incident a 48-year-old man was reported by Sabratha media centre to have been wounded as a result of mortar fire. This evening there were then reports that efforts at mediation were failing with both sides refusing to hand over weapons. “Everything is now quiet,” a prominent local activist had told the Libya Herald during the day, adding that the elders had been joined by those from Sabratha itself in the quest for peace. According to the media centre, an initial proposal had been made to the two sides – that they stop fighting, withdraw their forces and allow the National Security Directorate to secure the town. Both officially had agreed the terms, the centre said. Despite reports to the contrary, the source confirmed that so far no civilians had been killed in the fighting between the Amu Brigade, otherwise known as the 48th Brigade, and the Operations Room Against Daesh, both of which supposedly come under the authority of the Presidency Council. All civilians in the town centre had been evacuated and were with relates or friends in the suburbs, he said. The conflict started on Saturday when an Amu unit refused to stop at a checkpoint in the town manned by the operations room. There was then shooting in which at least one Amu member was killed. In subsequent clashes between the two brigades in the town centre which involved heavy weapons including tanks, it is reported that at total of at least five militiamen from both sides were killed and several others wounded. Yesterday, Sabratha Hospital issued an urgent appeal to all medical staff to turn up and tend to the wounded. The appeal came as a first truce broke down amid accusations that the Amu Brigade had attacked the Red Crescent as it was evacuating families caught up in the conflict. The attack allegedly killed one person and injured six others. However, the brigade has deniedthis reports calling the reports “pure slander and lies”. The violence triggered the resignation of one of the town’s municipal councillors yesterday. Belgassem Karir castigated the council for its inability to end the fighting which, he noted, had even seen the council itself accused of being involved. However, the local activist, who did not want to be named, said he thought Karir would withdraw his resignation if today’s mediation succeeded. According to him and other local sources, the Amu Brigade, consisting of the quasi-Islamist Dabashi clan and legitimised by Faiez Serraj and the Presidency Council (PC) as the 48th Battalion, has been heavily involved in people smuggling. Its rival, the operations room unit, was legitimised by the PC slightly earlier as part of a bid by the PC to try and stop the smuggling.